David DeBrunner joined Ally Financial in 2007 as vice president, controller and chief accounting officer. In this role, he is responsible for all accounting, tax, financial controls, Securities and Exchange Commission and regulatory reporting, accounting policy, Sarbanes Oxley compliance, strategic sourcing and supply chain and finance shared services. 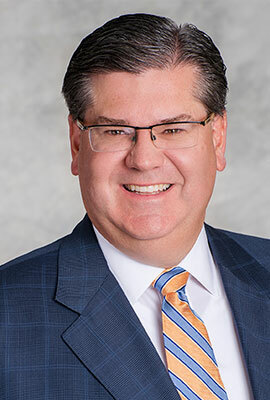 Prior to joining Ally, DeBrunner spent 15 years at Fifth Third Bancorp, where he most recently held the title of senior vice president, chief accounting officer and controller. His responsibilities included accounting, financial controls, financial systems, external reporting and accounting policy. Prior to servicing as the chief accounting officer, he served as the chief financial officer of their commercial division and held various finance and operational leadership positions throughout the company beginning in 1992. Prior to joining Fifth Third, he worked in audit services for Deloitte and Touche in their Chicago and Cincinnati offices. DeBrunner earned a bachelor’s degree in accounting from Indiana University. He is a member of the Ohio Society of Public Accountants and the American Institute of Certified Public Accountants. He also serves as Chairman of the board of directors for the Detroit Institute for Children, which provides a passionate approach to services for Michigan’s children with special needs and their families.